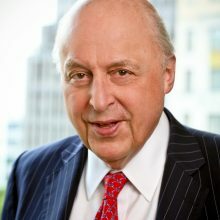 While in the private sector from 1997 to 2001, Ambassador Negroponte was Executive Vice President of the McGraw-Hill Companies, with responsibility for overseeing the company’s international activities. During those years he was also Chairman of the French-American Foundation. From 2009 to 2016, Mr. Negroponte taught international relations at Yale’s Jackson Institute and from 2016 to 2018 at The Elliott School for International Affairs at George Washington University.